Readers of this blog know that I enjoy the work of photographer and designer Melusina Parkin, and recently I blogged about an exhibition of her work at Art India Gallery. Now comes a larger exhibition with a broader scope at Ars Exhibendi, the exhibition space of the Master Builders Italy Group. Entitled Visioni, the show has just opened and will be on display through May 4. There are four major sections to this exhibition: Simple Lines (top image), highlighting the photographer's ability to delineate line, color, shade and space; Old Lights (second image), which explores lights and lighting; Time Travels (third image), featuring images that hearken back to earlier days; and lastly Past Industries, which appreciates huge industrial objects and sites as works of art. 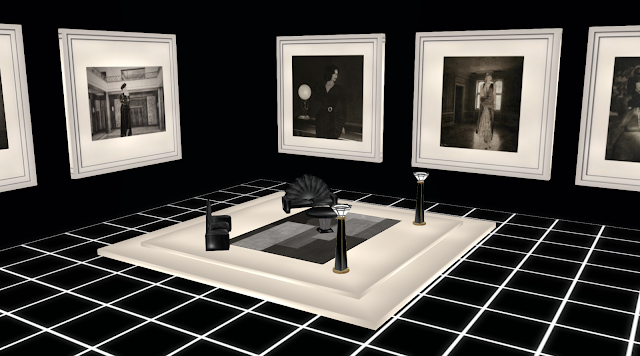 As Melusina is also a designer, objects are also on display, ranging from furniture to lamps. As I write this objects aren't yet on sale, but should be soon. You're welcome — a lovely exhibition.